Highly recommended for beginners and those with a bit more experience alike. Below are some of my brief notes on things that are simple to note down from the book. When invoked with “new”, if a function does not return an object, then “this” is returned. Use closure to have event handlers use value of variables at the time when the handler was bound. Curry = combine a function with values for some parameters, to create a function that requires less parameters. add1 = curry(add, 1). string.match is like Regexp.exec when no /g flag. Care when using objects as maps which may have arbitrary keys – e.g. to do a per-word count. Problems if e.g. the string to count has the word “constructor”. Just finished reading this book. Published in 1996 (16 years ago), the advice and lessons provided is still very relevant. Even if in your job you don’t have the mandate to solve any project management issues that exist, it’s a very helpful read to help understand why things might be the way they are. 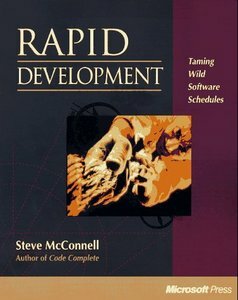 This entry was posted in Uncategorized and tagged book, estimates, planning, practice, project-management on December 7, 2012 by -. I just finished reading this book. Highly recommended to anyone who works on Java server-side applications, whether just getting started with concurrency or if you think (!) you know it. 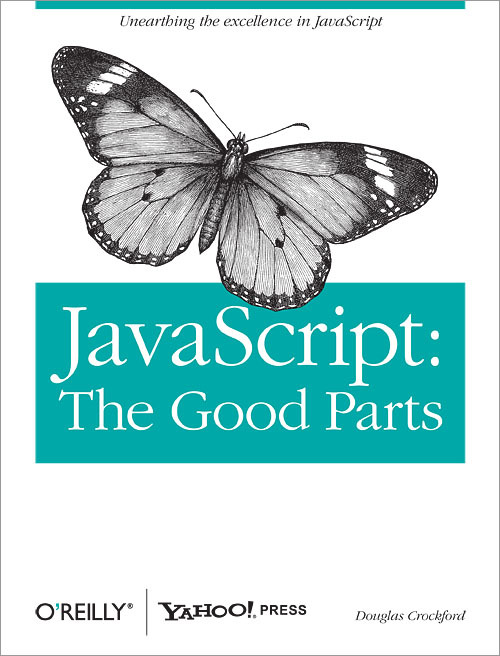 This entry was posted in Uncategorized and tagged book, java on November 16, 2012 by -. I just finished reading this book. I highly recommend it. 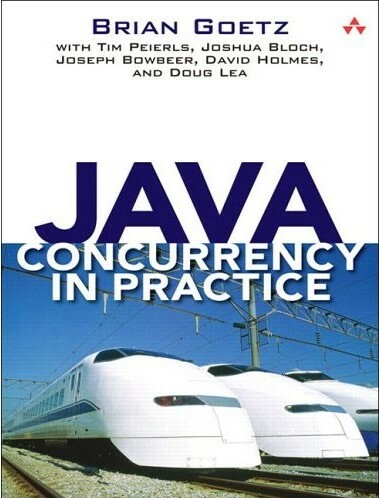 This entry was posted in Uncategorized and tagged book, java on September 9, 2012 by -. I recently read the book Version Control with Subversion free online book. I’d recommend it to anyone who uses SVN as part of their work, including GUI client users. If you’re a developer, you can probably skip the sections on repository administration (I did). It’s good to skim them though, so you’re aware of server side capabilities that you might want to ask for such as hook scripts and write-through mirroring. 1.7 has a new working copy format with only one .svn folder, in the root of the working copy. 1.7 prevents use of mixed revision working copy as target of merge, to prevent common problems. svn status -u option shows * if someone modified the item in the repository. If also locally modified, will have to update before committing. dc option for interactive conflict resolution diffs only the conflicted part. svn resolved is deprecated in favour of svn resolve –accept working. svn commit -F option reads message from file. svn maintains private to-do list to help recover from e.g. killed processes. This is what svn cleanup uses. Resolve tree conflict – diff the old file, edit the headers to point to new path, apply patch. Then delete old file with force, and resolve –accept working the new one. svn log -r base:head – see what’s happened since last updated. Pegged revisions avoid ambiguity when dealing with deleted or renamed moved files. @rev at end of path. Defaults to base. svn:eol-style property can be useful when dealing with multiple platforms. Use svn add –force instead of svn add *, as the latter is expanded by the shell and might include ignored files. Keyword substitution in files using $var$, need to set svn:keywords property on the file. Sparse checkout – can check out immediates, exclude unwanted folders, then telescope what’s left. Can also de-telescope. svn:needs-lock property will make file read-only on file system. svn:externals – auto checks out what’s referred to. consider specifying revisions, so when you backdate your copy you get the old version of the external as well. Changelists – file can only be on one at once, folders not supported. Lists are removed when committed, but option to keep them. To keep it alive, need to do a record-only merge of the reintegration revision from trunk to the branch, to prevent it being subsequently merged to the branch. Undo changes by reverse merge. To revert 303, do -r 303:302 or -c -303. Doesn’t record mergeinfo. Use svn copy to ressurect files with history (A+ status). When merging after cherrypicking, will do separate ranges to skip the cherrypicked one(s). Any in-between conflicts must be resolved interactively. svn merge is simply “diff and apply”. No magic. General use of record-only merge is to block changes from being merged somewhere, by lying that they’ve already been merged there. Move is just a copy and delete. Dangerous when merging moves and renames – comes up as a deletion and an add, you won’t notice that your changes to the renamed file have been lost. Various useful hooks, not just pre-commit. Use svn relocate if server name changes. Admin can set up a redirect, and 1.7 clients will auto-relocate. Can use hooks to prevent commits to tags. When branching for a release, manually port bug fixes in both directions. Use vendor branches when we make customisations to third party code. Global config to preserve extensions on conflict files, so they open in the default editor. File timestamps are normally those of last touch, can config to make checkout use last commit time. Various methods of setting which editor to use e.g. for conflict resolution (one is SVN_EDITOR environment variable). svnversion command summarise local revisions of working copy – easy way of determining if it’s mixed revision or not. Status R (replaced) means item was scheduled for deletion and then one with the same name was scheduled for addition. This entry was posted in Uncategorized and tagged book, svn on July 18, 2012 by -. An excellent question and top answers over at Stack Exchange Programmers – What should every programmer know about web development? This entry was posted in Uncategorized and tagged book, comment, web on July 7, 2012 by -.